From my English Education Class in the college. From by Business English class in the college. From my Primary Education class in the college. 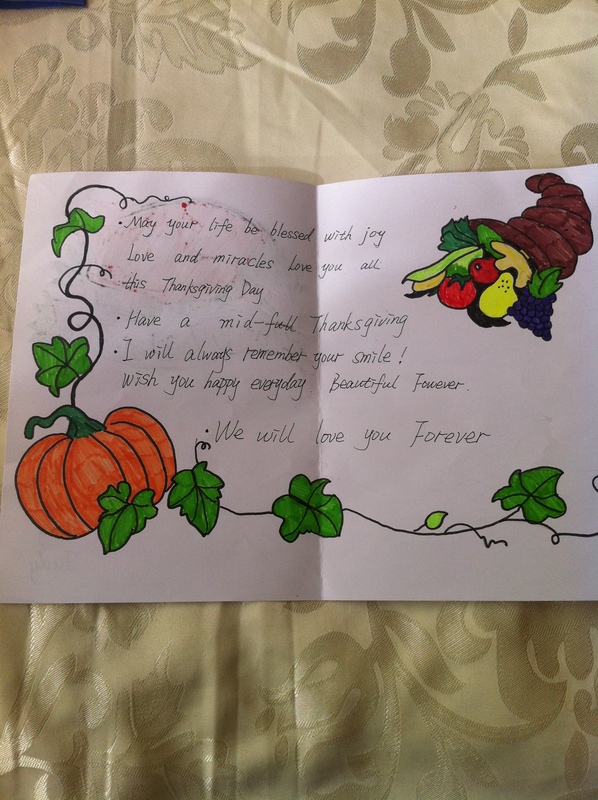 From my Primary Students in the Language Training Center. These are just some of the messages I got from Thanksgiving Day. And these few words meant a lot and makes me feel that somehow I have inspired, that I’m doing something right in teaching and influencing my students. I feel amazing. These students inspire me in more ways than one to even try better not only as a teacher but as a friend. Thank you Theresa. Yes, they are priceless! It made me cry…tears of joy! Lovely! Kids are something else. They can feel love more than grown ups. Teachers and parents get to see and experience it! Aw, bless. 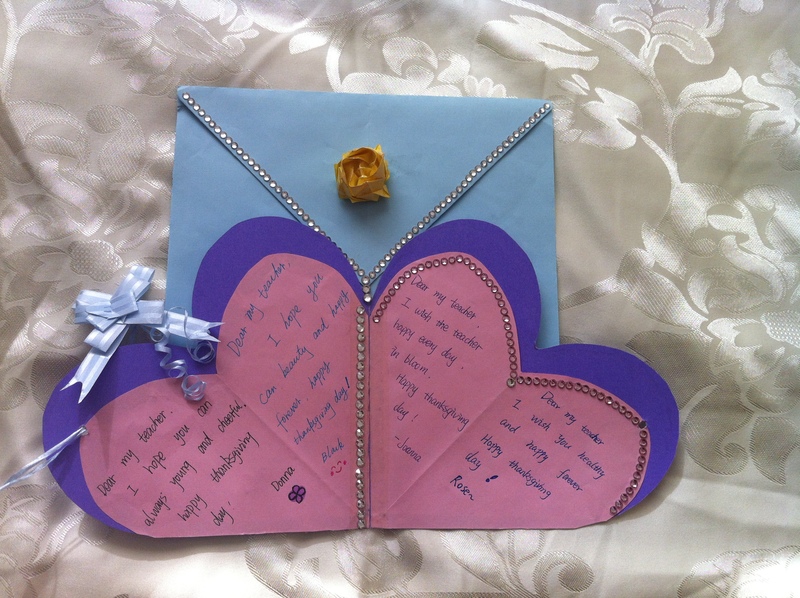 They are such beautiful cards and sentiments! Thank you Kev. They sure are! Really very nice and lovely …. Good to see you again, Donica. Can we expect a new post soon? I hope so, too. The firewall in China is getting more strict or more difficult to get around to despite having a proxy. Is there anything one of us can do to help? Thank you for the thoughts. Not much anyone can do. It’s China. I can log in now…just can’t linger just like before. It gets frozen. 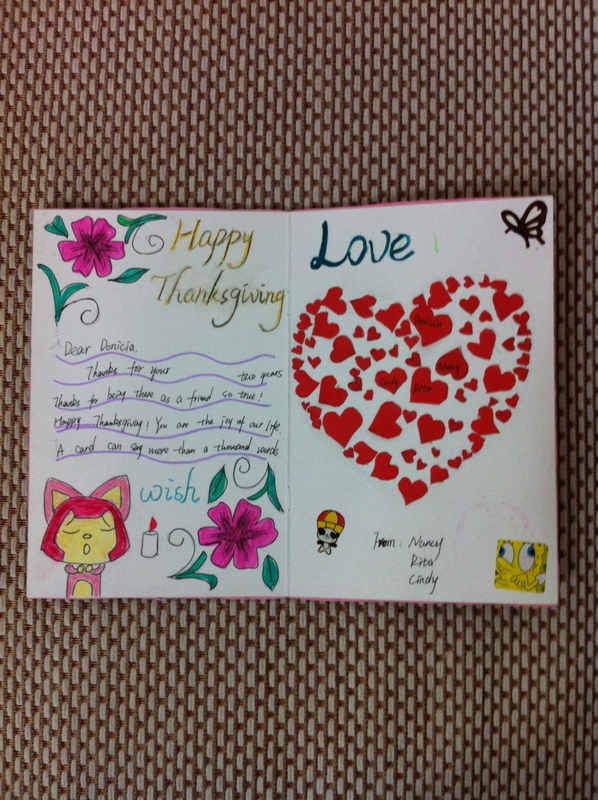 Your students are very creative and expressive – I love the artwork! Thank you. I love it, too. Creativity of children is always amazing! Aw, these are sweet! Your students are talented!